Learning to use the Bible is not a intuitive thing. Something as basic as finding a passage from a given reference is a skill we use in no other area of life. At Oakland, there are people from all different backgrounds and upbringings, so we don’t assume anyone knows the basics of navigating the Bible. 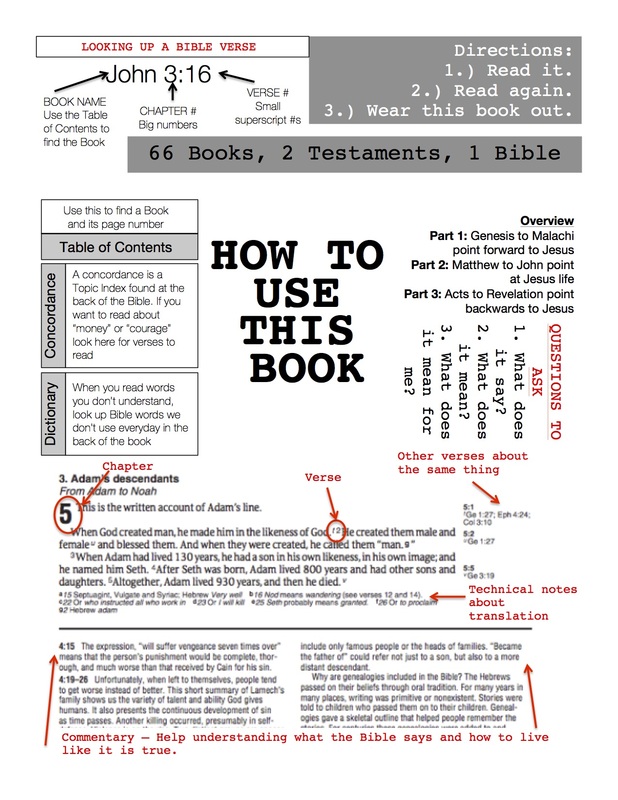 Therefore we have created this simple beginning guide for spiritual explorers hoping to study the Bible for the first times. Enjoy and feel free to share. A PDF of the same image is available HERE. Posted in Pastor Andrew's Blog and tagged Beginning with the Bible, Bible Study, Bible101, Dinner Is Served, Eat this Book, Quiet Time, Time with Jesus, Weekly Reading Plan.